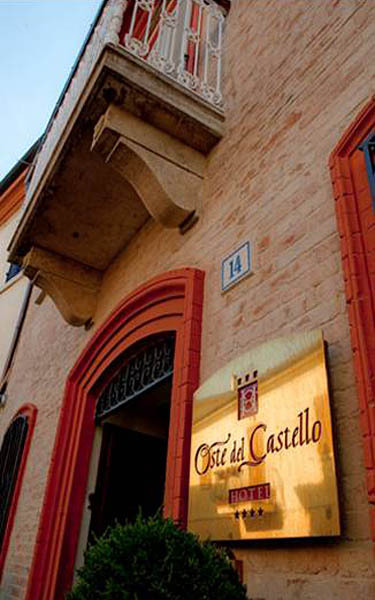 The Hotel Oste del Castello is the result of the faithful restoration of an 18th century residence in Verucchio, an inland village of Emilia-Romagna, in Valmarecchia, a territory rich in history and natural beauty. 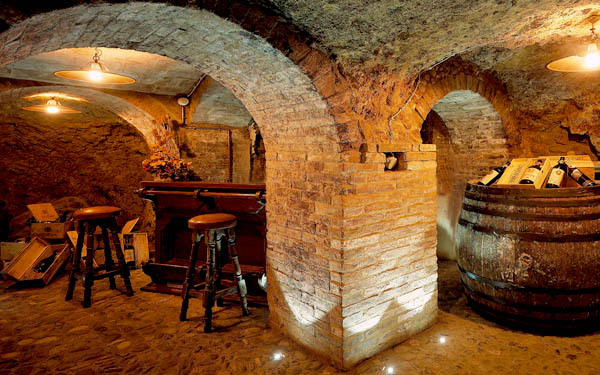 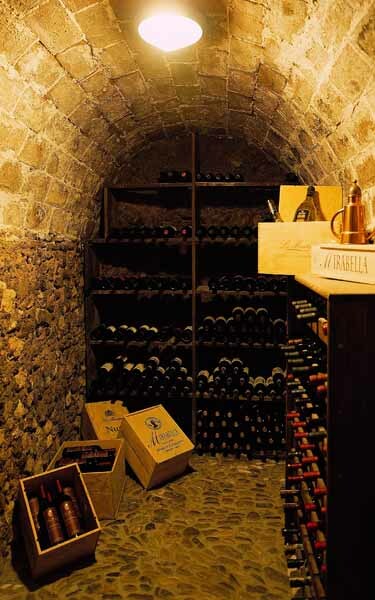 On the approach to the town’s central square, the hotel was constructed around a network of caves and tunnels in the tuff rock, which can still be seen in the restaurant, located in the cellar, and in the Spa Grotto, which offers free services for all hotel guests. 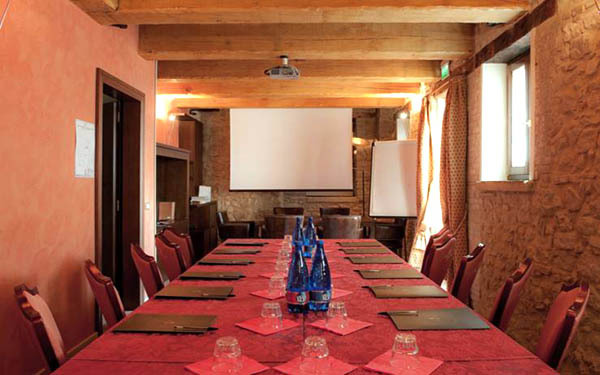 Furnished with noble materials from the Emilia-Romagna region, the hotel also has an American Bar, a Congress Centre with indoor and outdoor spaces that include a historic theatre just a short walk from the property with a capacity of up to 250 people. 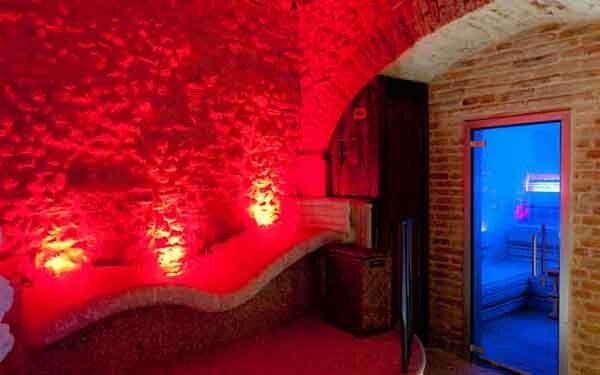 There is also an underground car park with direct access to the reception via elevator. 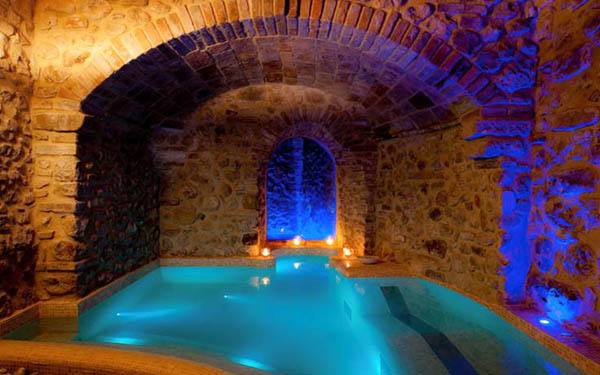 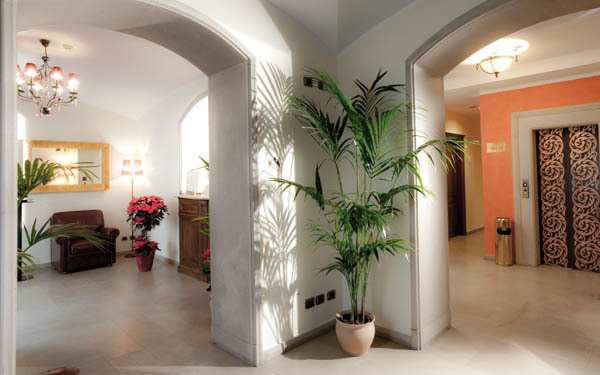 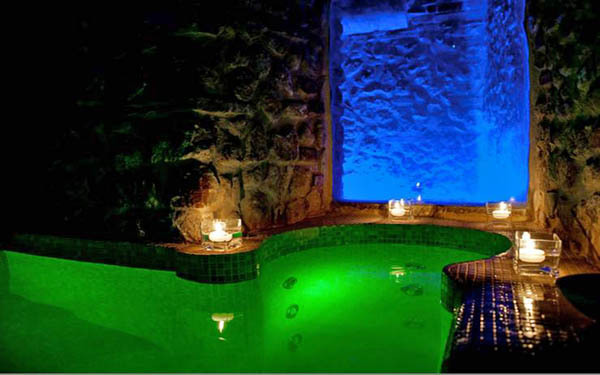 The Spa of the Hotel Oste del Castello is called the “Grotta del Benessere”, as it is carved into the tuff grottos beneath the hotel. 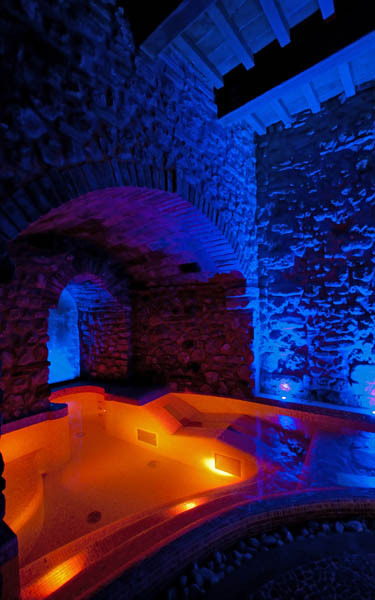 It contains heated stone beds, a sauna, a Turkish bath, a hydro-massage bath, and sensation showers. 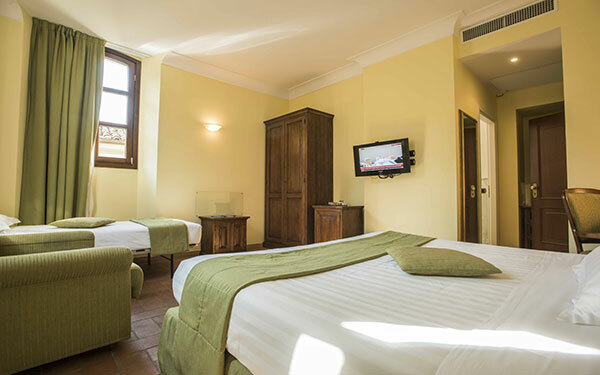 Hotel guests can treat themselves to exclusive treatments such as the anti-stress caress with Bach flowers, the stress-relief aroma massage, and the classic Shiatsu massage. 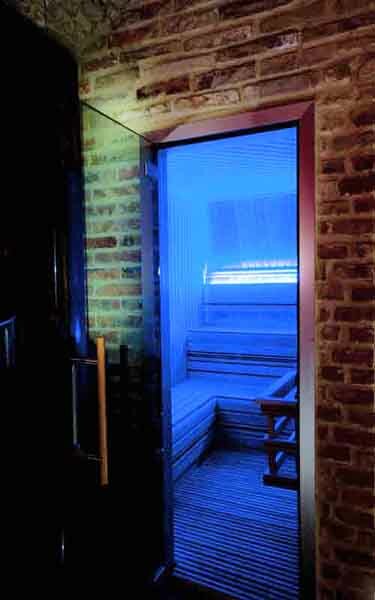 During the evening, the wellness area can be reserved for private use. 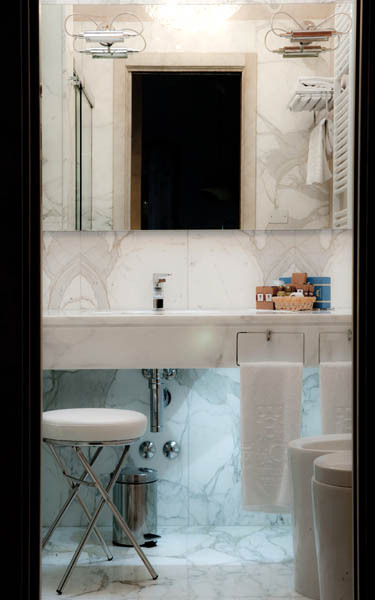 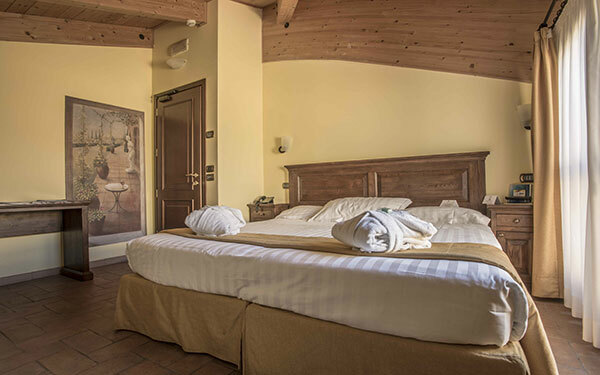 The 31 bedrooms of the Hotel Oste del Castello consist of Standard, Superior, and Deluxe rooms types, with views of the valley or the village, while the Prestige Suites each have a hydro-massage bath for two people and spectacular views of Valmarecchia. 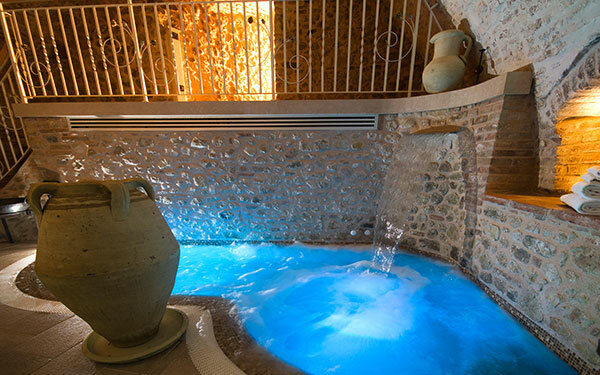 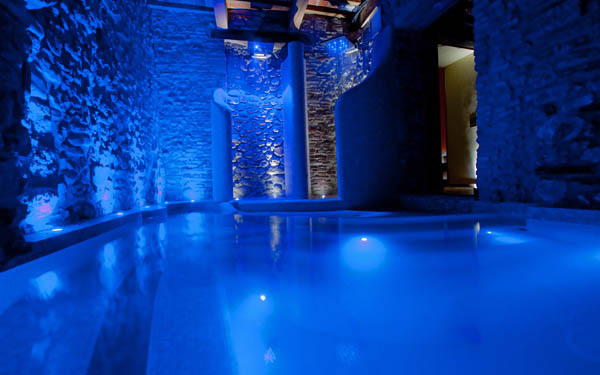 The exclusive Rosa d’Oro Resort occupies three floors of the 15th century tower and contains a bedroom, a lounge, and a private spa in the old armoury, with a hydro-massage pool, aromatherapy, chromotherapy, and loungers. 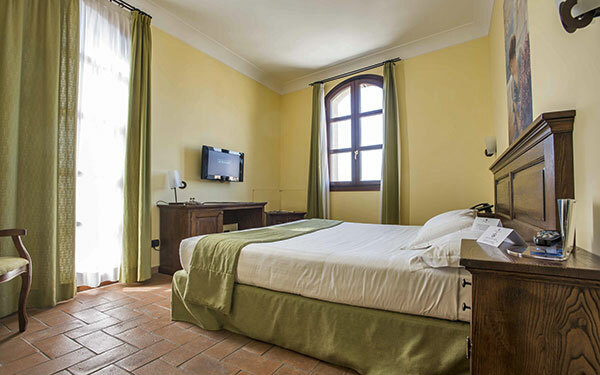 All accommodation has autonomous climate control, a telephone, satellite TV with Sky channels, a safe, a minibar, and Wi-Fi internet access, present throughout the property. 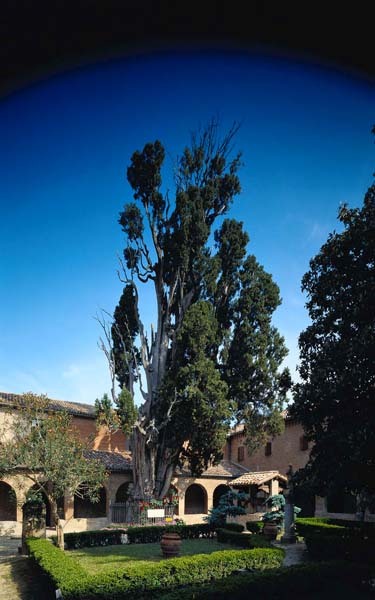 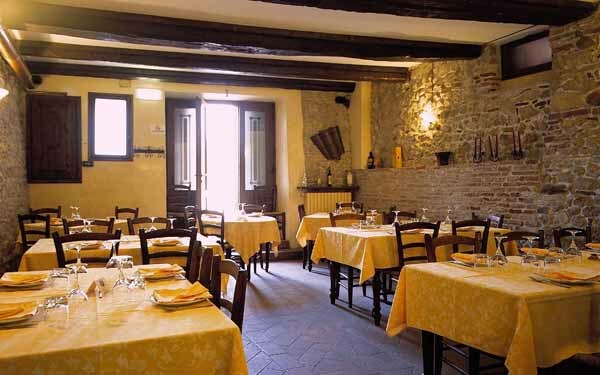 The Mastin Vecchio restaurant is located in an area below the Hotel Oste del Castello, with independent access in the tuff caves excavated in the 14th century that characterise the historic centre of Verucchio. 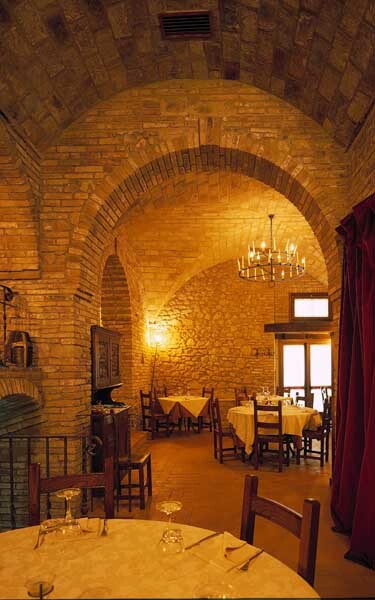 Amid the stone walls and columns, historic wood beams and wrought iron furnishings complete the ambient where the noble Malatesta family once took their meals. 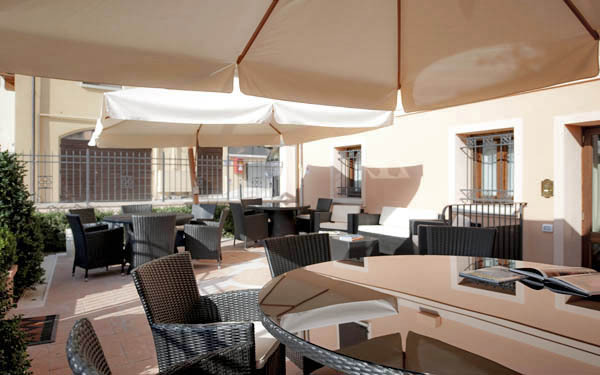 The restaurant serves typical local and national dishes using genuine seasonal products, homemade pasta, and selected meats from Italy and abroad, with options that cater for those with special dietary requirements. 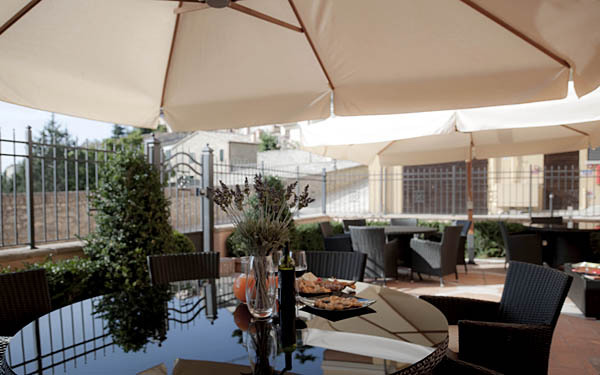 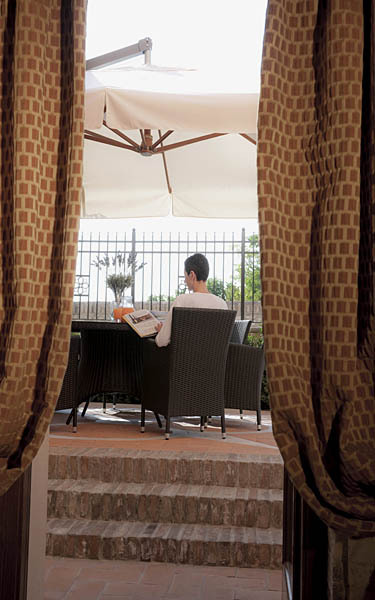 During the summer, guests can dine out on the terrace with views of the Marecchia valley. 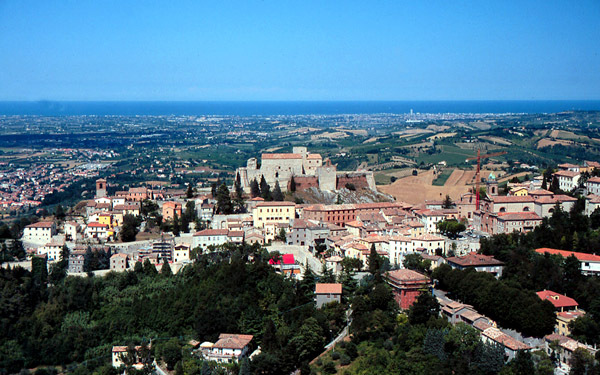 Rimini and Riccione are both within a few minutes’ drive of Verucchio, and are among Europe’s most popular seaside resorts, with a tradition of hospitality and a wide variety of entertainment, sports facilities, and points of cultural interest on offer all year round. 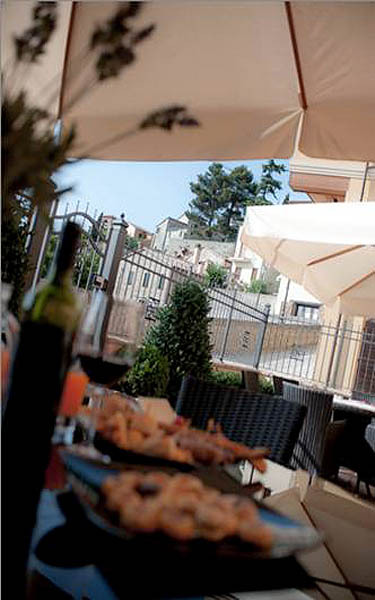 A stroll along the seafront promenade is a tradition all visitors must experience, as is a foray among the famous restaurants, bars and clubs located in and around the city. 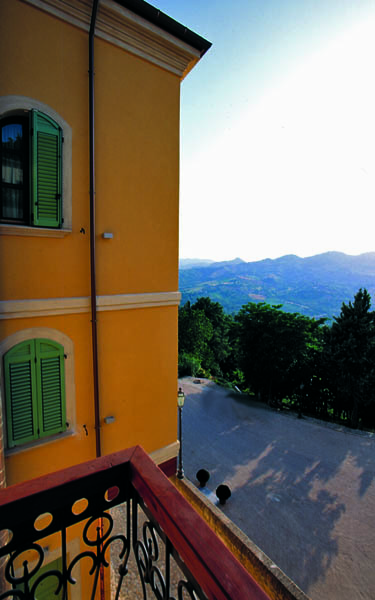 The region also offers much to see and do further inland, with beautiful natural landscapes and unique cultural attractions. 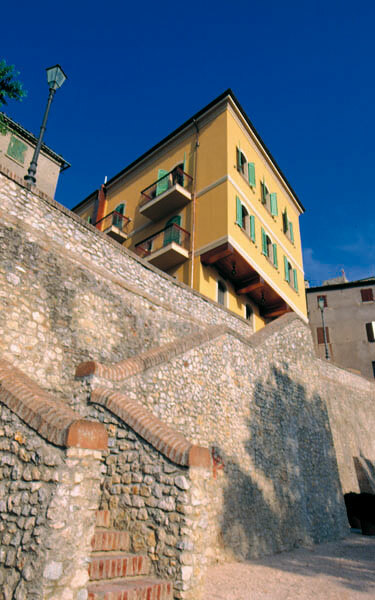 Coriano, just 8 kilometres from Riccione, it is a small town surrounded by farmhouses, vineyards and olive groves. 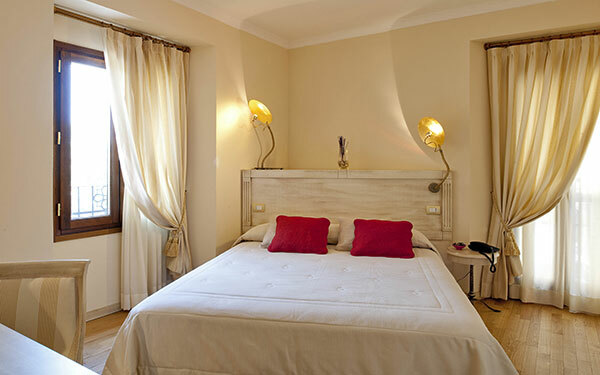 It is the ideal starting point for a walk in the Merano River nature reserve and the Rio Melo valley. 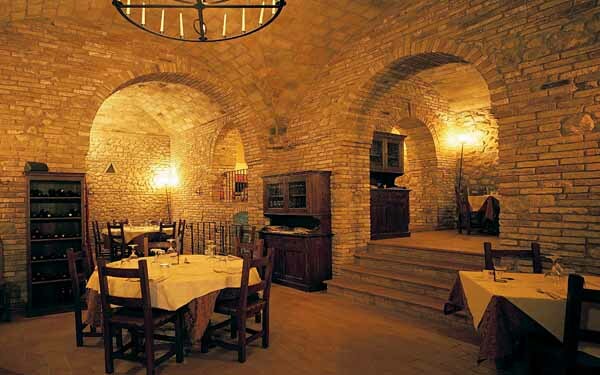 Near Gemmano, you can visit the Caves of Onferno, a great geological spectacle to behold. 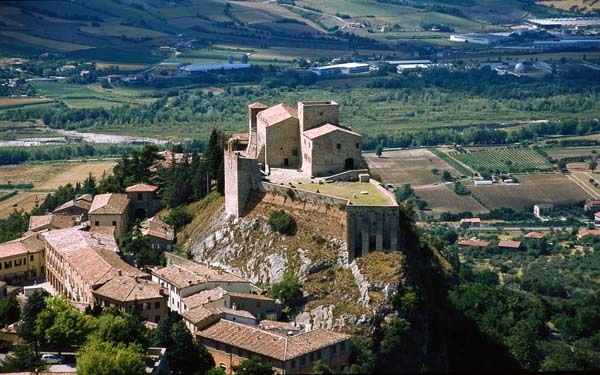 There is the town of Gradara with its wonderful historic fort, the ancient Montecolombo, home to the Church of San Martino with its 18th century tapestry by Brancaleoni, Montegridolfo with its famous Castle built by the Malatesta family in the 14th century. 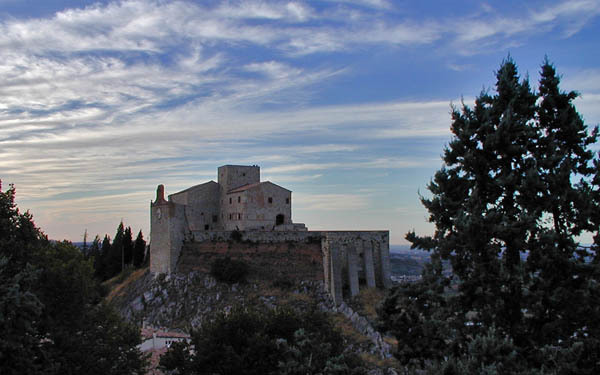 The Republic of San Marino is nearby, with its characteristic walk that joins the three towers that stand on the highest point of the mountain, there’s the village of San Clemente with a parish church designed by the Pope’s architect, Luigi Poletti, the village of San Leo with the fortress that was a prison that once held the Count of Cagliostro. 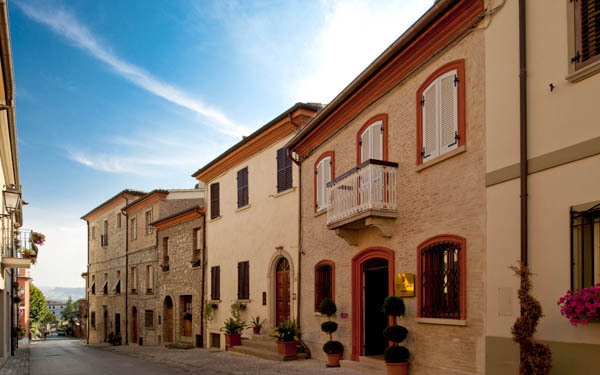 All these towns regularly hold traditional festivals and fairs, especially in the summer, when the towns recreate a medieval or renaissance atmosphere and the villagers parade in authentic historic costume. 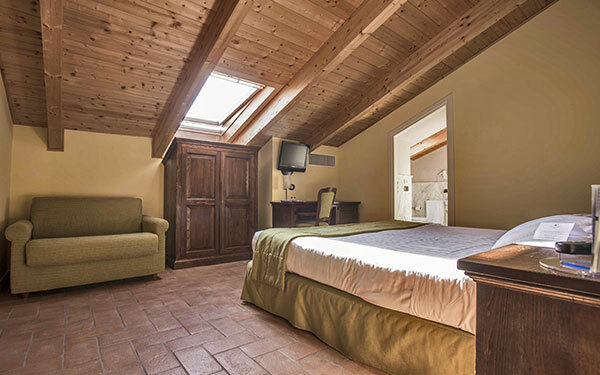 About an hour from the hotel, but absolutely worth the trip, is Urbino, the birthplace of Raphael, with the cathedral constructed by Federico da Montefeltro, the Ducal Palace, and the National Gallery of the Marche with its huge collection of renaissance artworks.